The Port of Mostyn welcomed the delivery of the first sets of components for the 160 turbine Gwynt-y-Mor offshore windfarm on behalf of RWE Npower. On the 19th Jan 2013 the Ro-Ro cargo vessel ‘Seatruck Pace’ arrived at Mostyn from Esbjerg in Denmark loaded with 3 sets of wind turbine components (tower sections, blades, nacelles and hubs) for final assembly at the Port prior to their installation off the North Wales’ coast. 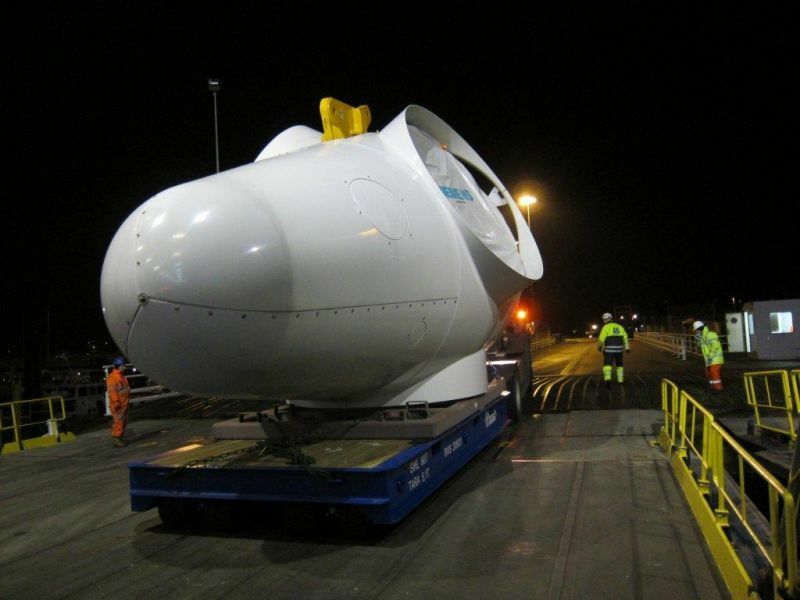 When installation of the turbines is completed late in 2014 they will be serviced from RWE’s Operation and Maintenance Base now under construction at Mostyn.